trying some upside down cake. 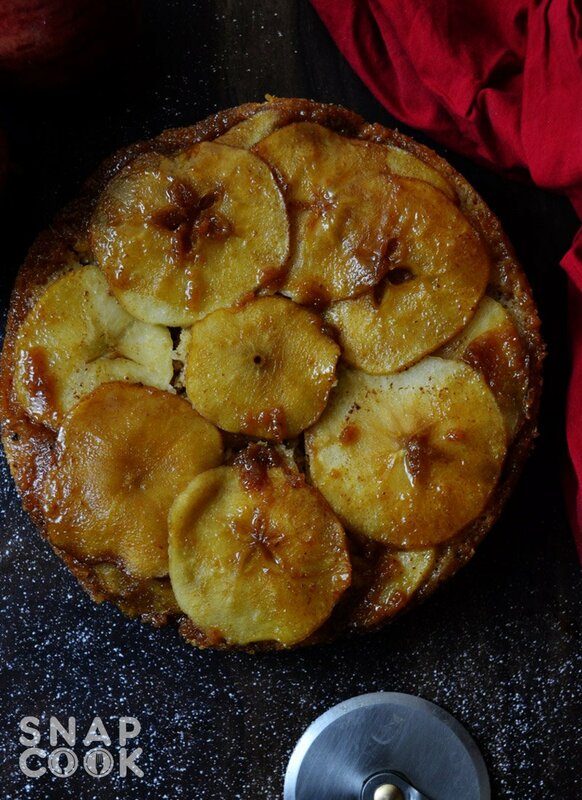 Just to give you an idea if you are new to upside down cakes. In these cakes, the bottom layer is actually the top layer of your cake. So what we put at the bottom of our mould will actually be our cake top. 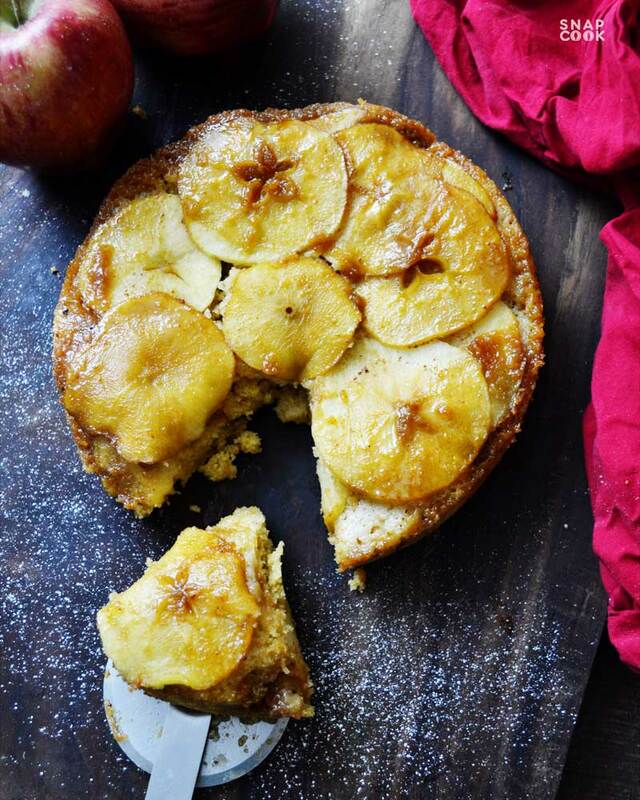 In today’s recipe we will be making egg less wholewheat atta cake and to make it upside down we will be using apple as our main ingredient. 2- Lemon juice – 2 Tbsp. 3- Sugar – 1/2 cup. 4- cinnamon – 1 small stick. 5- Clove – 1 small. 6 – Grated Nutmeg – 1/2 Tsp. 7- Cardamom – 2 pieces. 8- Melted butter – 1/2 cup. 9- Caramel sauce – 4-5 Tbsp. 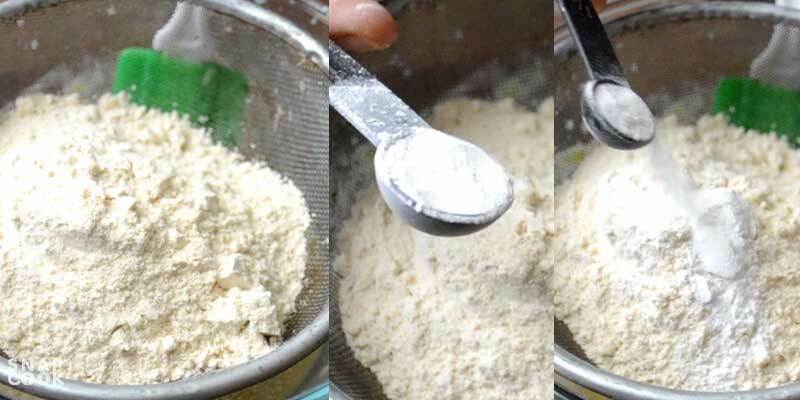 10- Milk Powder – 1/2 cup. 11- Milk – 3/4 cup. 12- Vanilla Essence – 1 Tsp. 13- Whole wheat flour / Atta – 1 cup. 14- Baking Powder – 1 Tsp. 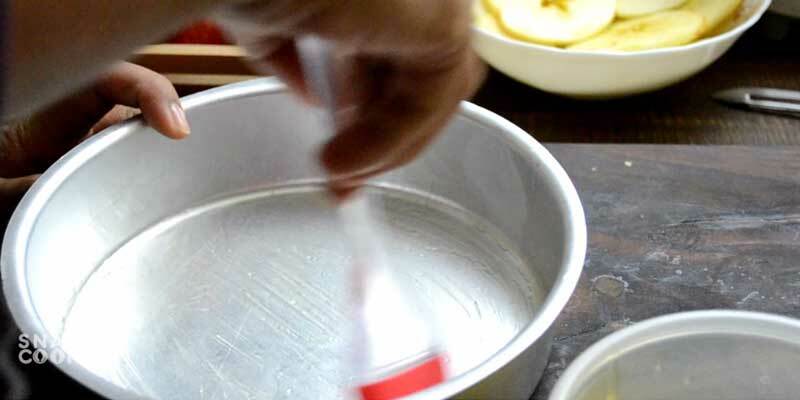 15- Baking soda – 1/2 Tsp. 2- Cut them in round and squeeze a lemon on them so that they wont turn dark. 3- To make our granulated sugar mixture, Add 1/2 cup sugar, 1 small cinnamon, 1 small clove and 2 small cardamom and grind them for 2-3 mins. 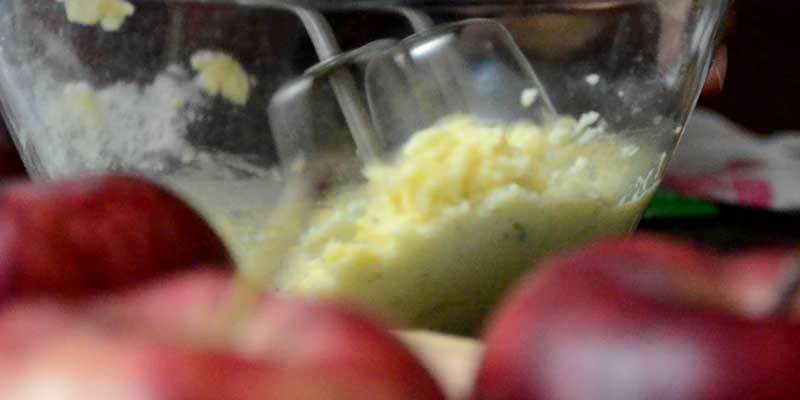 4- Take a cake mould and greese it with melted butter. 5- Add caramel sauce at the bottom of the mould. 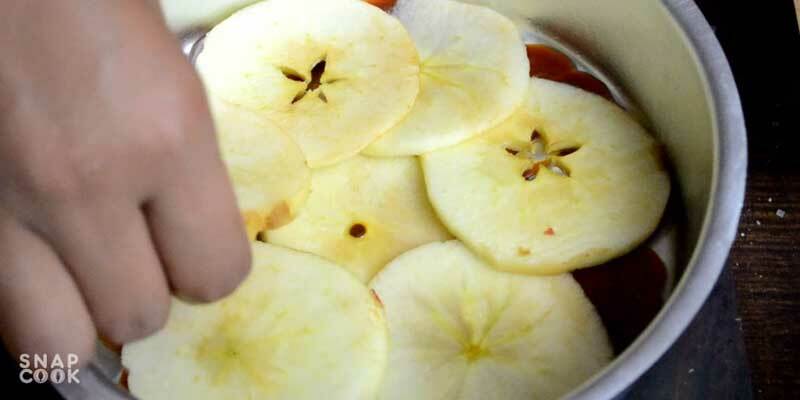 6- Arrange the apple slices above the caramel sauce. 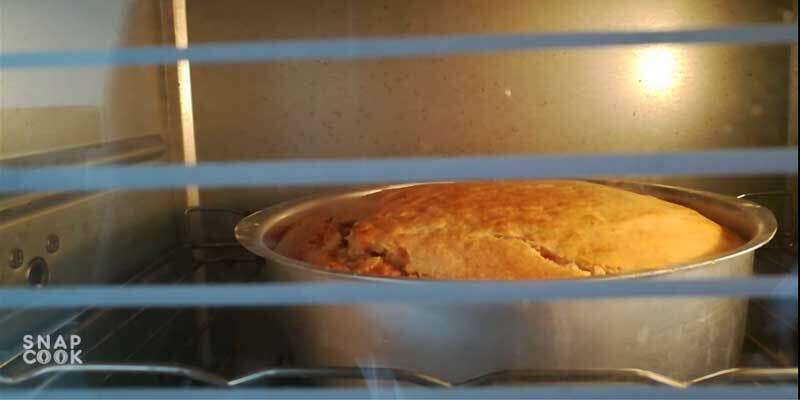 7- Sprinkle some granulated sugar mixture on top and bake it for 10 mins at 180deg C.
8- To make our dough, Take 1/2 cup melted butter and 1/2 cup milk powder and beat the mixture. 9- Add 1/2 cup sugar and little milk to the butter mixture. 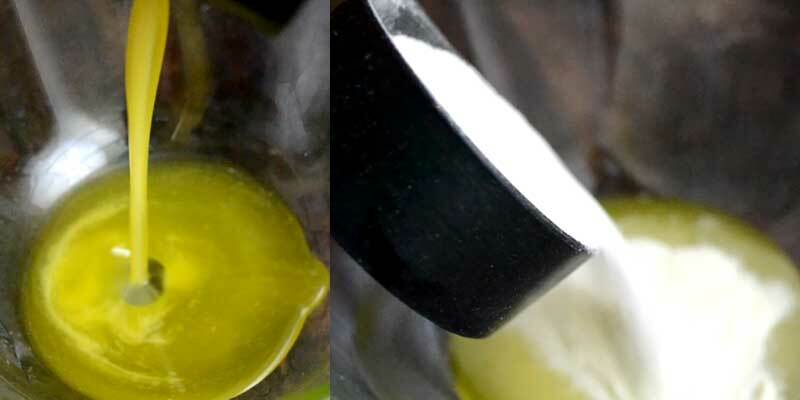 10- Beat the mixture for 2-3 mins. 11. 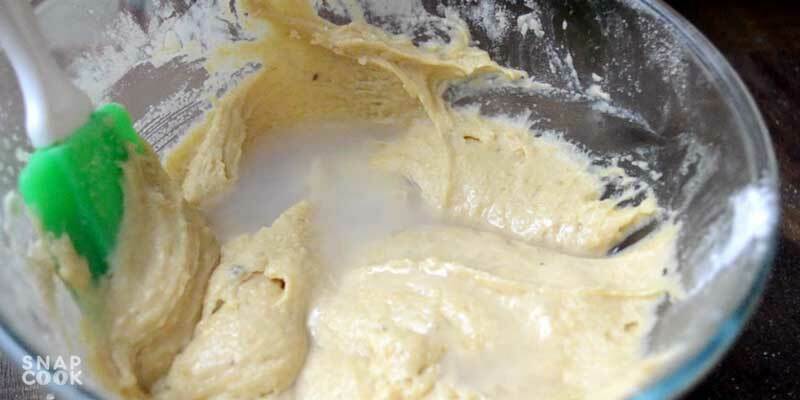 Seive 1 cup whole wheat flour 1 tsp baking powder 1/2 tsp baking soda to the mixture. 12. Add rest of the milk and mix in the mixture to make it smooth batter. Add water if required. 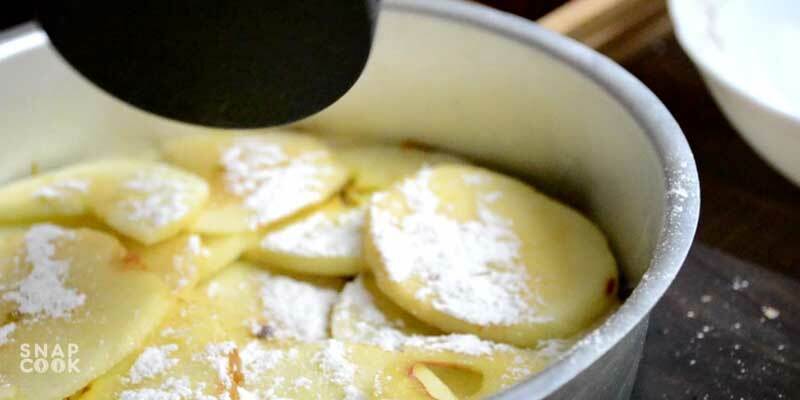 13- Take the baked apples out of the oven and pour the batter on the apples to fill the mould to 3/4. 14- Bake it for another 15-20 mins at 180 deg C or until a tooth pick/ knife inserted comes out clean. 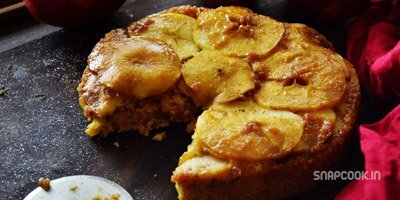 Upside Down Cake using Apple – This apple caramel cake recipe with be eggless and using wholewheat flour. cinnamon – 1 small stick. Grated Nutmeg – 1/2 Tsp. Melted butter – 1/2 cup. 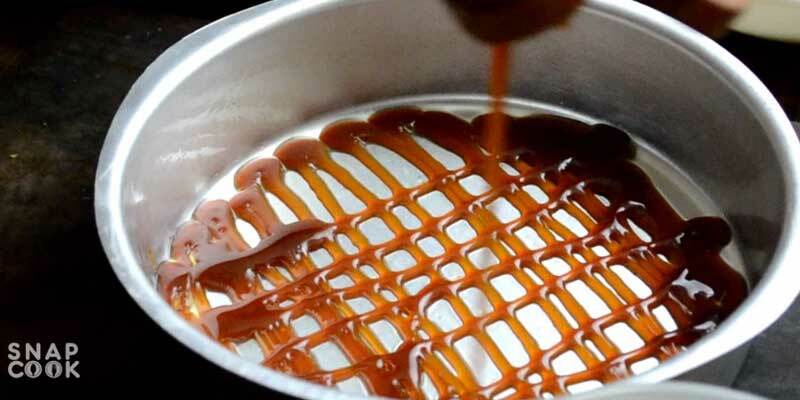 Caramel sauce – 4-5 Tbsp. Milk Powder – 1/2 cup. Whole wheat flour / Atta – 1 cup. 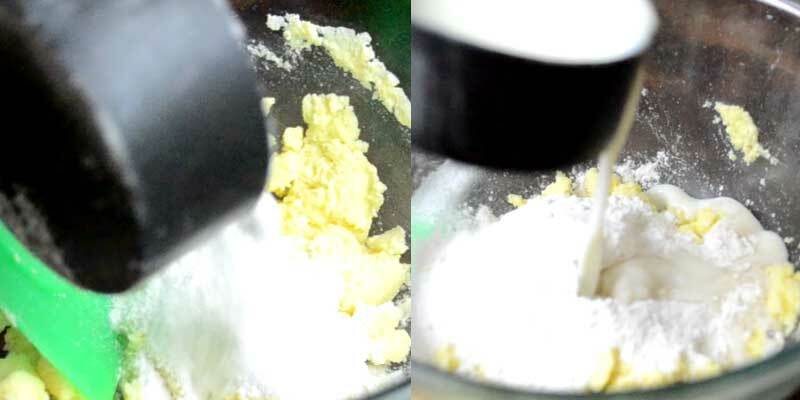 Baking soda – 1/2 Tsp. 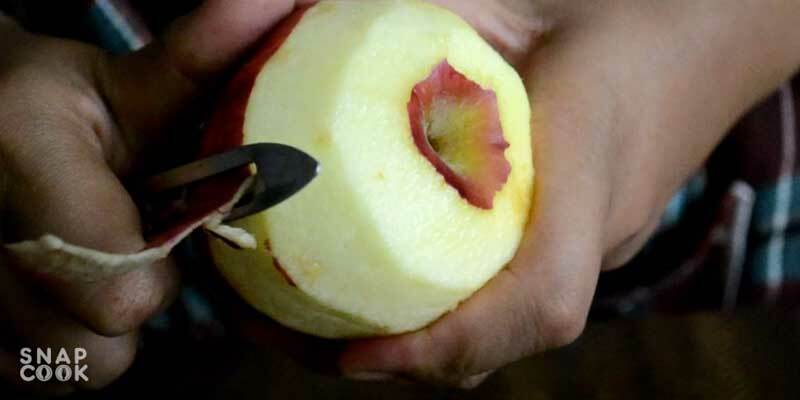 Cut them in round and squeeze a lemon on them so that they wont turn drark. 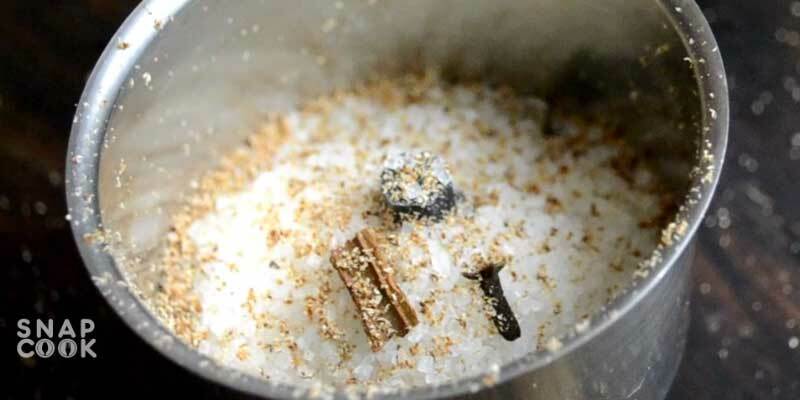 To make our granulated sugar mixture, Add 1 cup sugar, 1 small cinimon, 1 small clove and 2 small cardamom and grind them for 2-3 mins. Take a cake mould and greece it with melted butter. Add caramel sauce at the bottom of the mould. 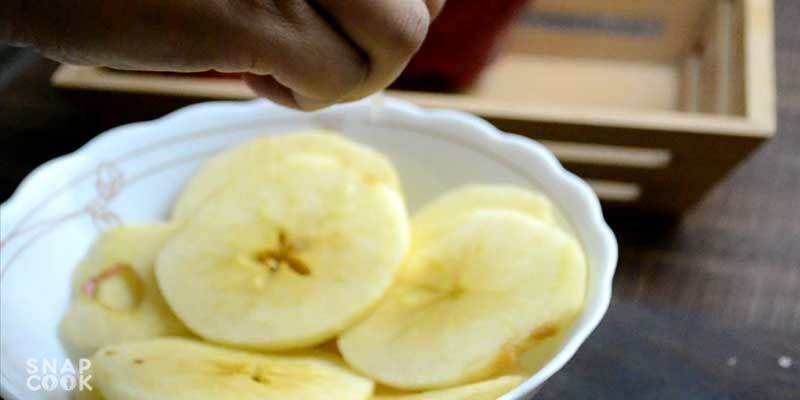 Arrange the apple slices above the caramel sauce. Sprinkle some granulated sugar mixture on top and bake it for 10 mins at 180deg C.
To make our dough, Take ½ cup melted butter and 1 cup milk powder. Add 1 cup sugar and 1 cup whole wheat flour. 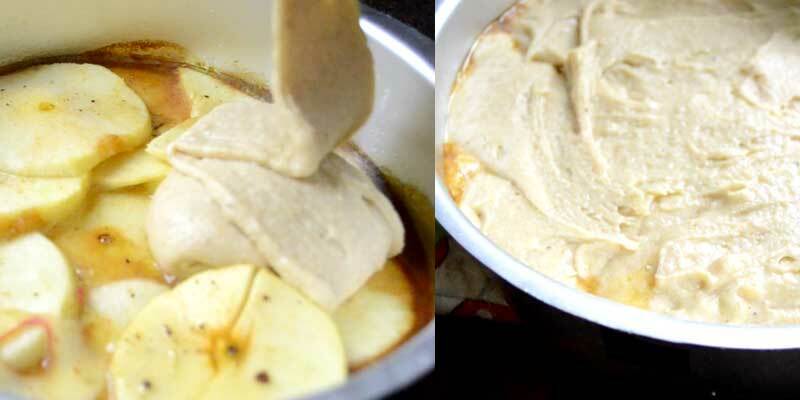 Beat the mixture for 2-3 mins. Seive 1 cup whole wheat flour 1 tsp baking powder 1/2 tsp baking soda to the mixture. Add rest of the milk and mix in the mixture to make it smooth batter. Add water if required. Take the baked apples out of the oven and pour the batter on the apples to fill the mould to ¾.
Bake it for another 15-20 mins at 180 deg C.